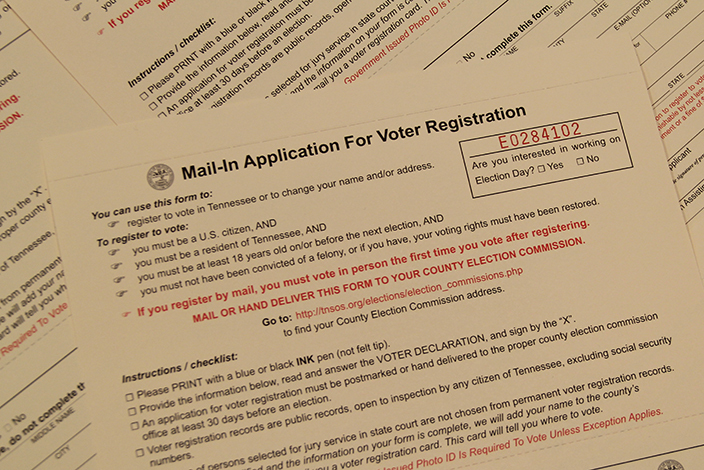 To fill out a voter registration application or check your registration status, visit GoVoteTN.com. "We had tremendous success getting Tennesseans to register or check their status during September, which was National Voter Registration Month. Now the deadline is approaching. If you plan to vote in the presidential election, your voter registration application must be received or postmarked by Tuesday," said Secretary of State Tre Hargett. Election Day registration is not available. Early voting runs from Wednesday, Oct. 19, through Thursday, Nov. 3. Election Day is Tuesday, Nov. 8. Voters should bring valid photo identification. Photo IDs issued by Tennessee state government, including driver’s licenses, or the federal government are acceptable even if they are expired. College student IDs are not acceptable. The easiest way for voters to find their polling locations, view and mark sample ballots, see their elected officials, districts and county election commission information as well as access online state and federal election results is through the GoVoteTN app. The app is free in the App Store or on Google Play. In addition to casting their ballots, voters are encouraged to participate in Honor Vote program by dedicating their vote to someone who is currently serving, or has served, in the U.S. military. Enrolling allows voters to share their dedication online, across social media and by wearing a commemorative button on Election Day in honor of the veteran or service member they choose. More information about what types of photo IDs are acceptable, the GoVoteTN app and the Honor Vote program can be found at GoVoteTN.com or by calling the Division of Elections toll free at 1-877-850-4959.